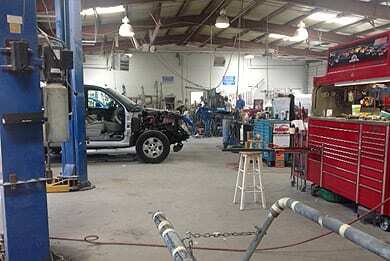 There are lots of auto body repair shops in the Rock Hill, SC area. Why should you trust Carolina Collision & Frame Service to handle the repairs for your car? For starters, we’re a family owned and operated company. We opened our doors in 1998 with the goal of providing the highest quality auto body repair service in the area. We believe in doing business the right way—with honesty and integrity. We’re always looking out for your best interests when we work on your car. Our primary goal is to return your vehicle to a safe, drivable condition as quickly as possible. To accomplish this, we hire only highly skilled technicians to work on your car. Our experience and expertise are unmatched and we use the best technology available. This includes computerized frame measurement and computerized paint matching. We also believe in providing the best customer service possible. We’ll start by giving you an exact estimate for repairs, along with a detailed breakdown of what needs to be fixed. Our staff is professional and courteous and will always be respectful of your time. Plus, we’re always here when you need us with our 24/7 towing service. Contact Carolina Collision & Frame Service today to learn more about how we can help you or stop by our collision repair shop. We’re conveniently located just off Cherry Road in the heart of Rock Hill. We look forward to working with you!